Keith Urban Teams up with Lauren Alaina for "We Were Us"
Keith Urban recently invited rising star Lauren Alaina to the stage to sing a duet of his song 'We Were Us." Watch their rendition here! Keith Urban is a unique performer in that he has great on-stage chemistry with everyone he performs alongside. He always looks to be having the time of his life, and this special duet was no different. “We Were Us” was originally recorded with Miranda Lambert in 2013, and appeared on Urban’s album Fuse. The original track it earned a spot in the top 30 of the Billboard Hot 100. Check out the original music video for the tune below. After hearing Lauren Alaina‘s opening set, Urban knew the vocal powerhouse could handle Miranda’s part. He couldn’t resist asking the “Road Less Traveled” singer to join him on-stage for a duet. The two singers bring a new energy to this fan favorite. 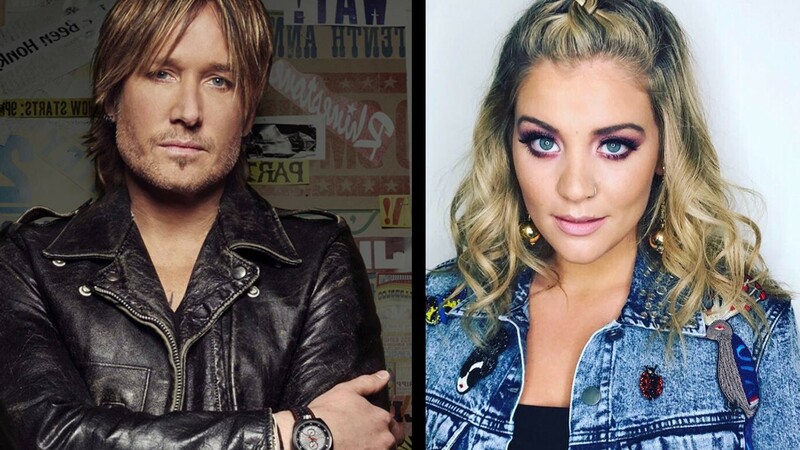 Keith Urban uploaded a video of the performance on Facebook, saying “Hey Lauren Alaina – I got an open mic for u anytime.” Sadly, the duo is unlikely to sing together again anytime soon, as they are both actively on the road. You may recognize Alaina from American Idol’s season 11. She competed neck-in-neck with Scotty McCreery, ultimately earning the runner-up title. She then released her first single “Like My Mother Does,” which sold over 200,000 copies during the first two months of release. It was this song that launched her into the beginning of a wild ride as a contemporary country-pop artist. She signed with Mercury Nashville shortly after the single caught on, and released her first full length album in 2011 titled Wildflower. The album rocked the charts with a number five spot on the Billboard 200 and number two on the Billboard Top Country Albums Chart. Alaina released her second full-length album, Road Less Traveled, in 2017. Pop star Meghan Trainor and producer/songwriter Jesse Frasure co-wrote the title track with Alaina. The singer just dropped a lyric video for “Doin’ Fine,” and it’s definitely worth a listen. Share this duet with other fans of Keith and Lauren!